Horizon Towers are renovated in Aug 2000. $1 million spent on Hitachi cooling tower & piping system for air conditioning system. Renovated visitor's lobby with sandstone walls and a waterfall koi pond. 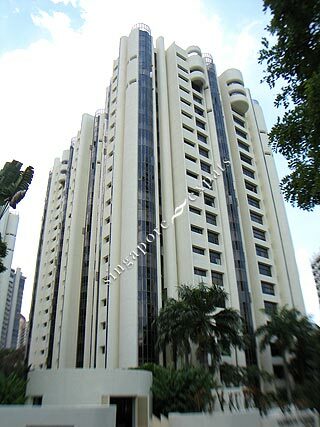 Horizon Towers West Tower is located in Leonie Hill and Horizon Towers East Tower is located in Leonie Hill Road, which is about 7 to 10 minutes walk to Orchard or Somerset subway and shopping or a 10 minutes walk to the Great World City Shopping Mall.